Posts tagged "Grand Turk Accomodation"
Offering first class diving along the unsurpassed beauty of the Grand Turk Wall since 1983. PADI courses, snorkeling, Gibbs & Salt Cay trips also available. 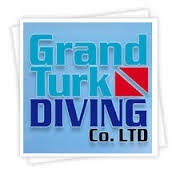 Conveniently located in town, our specialty is safe, relaxed diving in small groups having more fun! Historic Grand Turk Inn welcomes you to relax in their five air conditioned, oceanfront suites with full kitchens. Continental Breakfast served to your suite each morning. Studios and one bedroom suites, with stunning views of the North Creek. Each suite has a fully equipped kitchen & A/C, also includes a car. Grand Turk. Bohio Dive Resort. We invite you to kick off your shoes, stroll across the velvet sand and immerse yourself in tropical waters just steps from your room.. Grand Turk.